An Andrew Benintendi autographed baseball bat. This item is MLB authenticated. The official team charity of the Boston Red Sox, the Red Sox Foundation harnesses the power of Red Sox Nation to support select programs serving at risk children and families across New England. The Foundation’s efforts are primarily focused on its two cornerstone programs, including the Red Sox Scholars Program, which provides tutoring, mentoring, enrichment programs and a college scholarship to academically talented but economically disadvantaged Boston public school students and the Red Sox Foundation's RBI and Rookie League youth baseball and softball programs serving more than 2,000 inner city teens each summer. A 501c3 nonprofit, the Red Sox Foundation raises funds through special events, corporate sponsorships and grants and does not receive an endowment from the team. For more information, please visit www.redsoxfoundation.org. All net proceeds will be donated to charity. As of January 1, 2011 please note that all bid amounts for charity auctions are inclusive of applicable sales tax. 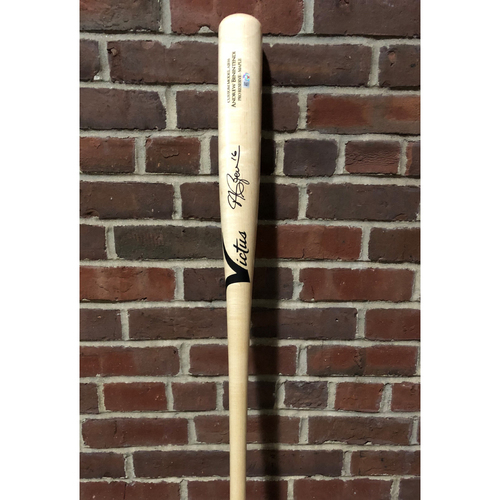 These items are to benefit the Red Sox Foundation's charitable initiatives for at risk children including the Red Sox Scholars program, so much of your bid may be tax deductible. If you have a question about one of the Red Sox Foundation's charitable auction items, you can call 617-226-6026 or email redsoxfoundation@redsox.com. Additionally, click here to contact MLB.com Auctions. Major League Baseball Auction Customer Service representatives are available to assist you Monday through Friday, 9 AM - 6 PM EST. If you have questions about bidding, bid retraction, auction format, or registration please consult our Frequently Asked Questions section which may help answer your questions and clarify many of our policies.